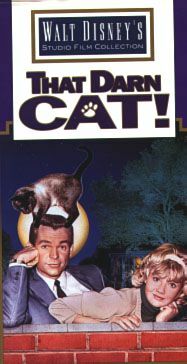 In 1965, Bobby sang the theme song to the movie That Darn Cat. This Disney film is out on home video. Darin does not appear on screen and for some reason did NOT sing the theme on the That Darn Cat soundtrack LP released on Buena Vista records. So the video is the only chance to hear Bobby sing this song. Also,That Darn Cat is frequently shown on the Disney channel.